Generally when we want to make an exercise or workout more challenging, we add more weight. And lifting heavier definitely makes a move more challenging. Shoot I love that feeling of lifting more than I did the week before. I love adding weight! But adding more weight to an exercise isn’t always the best way to make the move more challenging. If you feel like you are plateauing or have plateaued, or if you feel like your workouts just aren’t challenging you anymore, here are five ways to your workouts more challenging WITHOUT just adding more weight to the moves. I think rep tempo is far too often overlooked. I think most of the time people just do the reps as quickly as possible or in a “controlled” tempo. They never want to slow the reps down. Why? Because slow reps are uncomfortable and HARD! A great way to make any move more challenging without adding more weight is to slow down your rep tempo. I love doing a 5 second eccentric contraction (the part of the movement when the muscles are lengthening). Like in a squat…Take five seconds to squat down to the ground. Then explode up. That slow eccentric contraction is killer! You can also do isometric versions of the exercises or HOLDS. Instead of doing reps of a squat, or maybe even BEFORE you do squat reps, do a hold (with or without weight). The hold is killer and then makes the reps even more challenging. Here is a great Isometric workout that will challenge you even if you don’t use much weight at all! Those are just two of the ways you can slow down reps to make them more challenging. You can also speed the reps up if you always do them slowly. Doing reps more explosively can also be challenging. The key is to adjust your tempo and use it to challenge yourself instead of just doing reps in the same old “controlled” fashion all the time. Not every workout has to be done as quickly as possible with as little rest as possible. On the flip side, not every heavy strength workout has to include a TON of rest between sets. Honestly, I feel like recently you have more and more people just trying to cut out the rest and go as quickly as possible through everything though. And less rest doesn’t necessarily mean a better workout. Change up your rest if you are always doing the same thing. Try some circuits that are timed so that you have to do as many rounds as possible before the time is up. This will force you to take less rest. Or try taking more rest if you are always pushing yourself to go faster. Try to recover so that you can really give the same work output each round. Recovery/rest should be used to achieve specific goals. Don’t just take out all rest because it “feels hard” at the time. Add in rest or take it out to achieve specific goals. Are you working on your work capacity? Then maybe shorten the rest. But if you are really trying to focus on strength or maybe even on improving your speed or power, you may want to add in more rest. Longer rest doesn’t mean easier. There isn’t only ONE way to squat. ONE way to deadlift. ONE type of push up! Variations of these moves could help you target your weak spots. For instance, if you do the sumo deadlift all the time, try doing a week or two of conventional. It will give your hips a break and it will probably end up strengthening your sumo deadlift! Or try a front squat instead of a back squat. A front squat is going to force you to engage your core more (and you may actually need to lift LESS than you would with the back squat). There are a ton of variations that may just target your current weak spots without using more weight (and maybe even using less) and make them stronger so that, in the end, you can lift more on the moves you love! Some of my favorite exercises variations to add in are single limb movements. These exercises work to correct imbalances, develop core strength, and improve balance all while building a stronger mind-body connection. Try a single leg deadlift or a single leg squat. You may not even need weight at the beginning to challenge your body! Here are some single leg movements to try! Do you do step ups but they aren’t feeling that challenging anymore? Do you usually just add more weight? How about trying a higher box! Using a higher or lower box can hit your glutes from a different angle. You can also mix up glute bridges by using different pieces of equipment. It is the same basic move, but it can be done with your feet up on a box or on a powerwheel instead of just simply on the ground. And same even goes for lunges. Sliders (towels) can be a great way to reduce traction and make lunges harder without adding weight! Any exercise can be changed up by using a different piece of equipment or a different type of resistance. And sometimes when you change-up the equipment or type of resistance, you will find you even need to go down in weight at the beginning. A split squat can be done on the ground OR with the back foot up on a bench (balance lunge). The first time you change from a split squat on the ground, even if you use weight, to a balance lunge, you may find you either need to use less weight or drop the weight all together. Both moves can be challenging, but both definitely work the muscles in a different way while being the exact same basic move! And not only can you add in a piece of equipment to a move but you can also change-up the type of weight that you are using. What about an overhead press with a resistance band instead of dumbbells? Or what about a deadlift with kettlebells instead of a barbell? Doing the same exercise can feel very different just by switching up the resistance. Bands force you to work on the way up AND the way down. Whereas with dumbbells you really only work on the press overhead, you work harder in both directions with a band because there is consistent resistance throughout the move. A deadlift with kettlebells is also very different from a deadlift with a barbell. It is way harder on the grip to hold two heavy kettlebells that equal 135lbs than it is to hold a deadlift with 135lbs. For one, neither hand gets assistance from the other. For two, the competition kettlebells have a fatter handle than the barbell, which make them harder to grip. The point is by making simple changes in exactly how you perform the same moves can make them more challenging and even work on weak points within your lifts by hitting the muscles from a different angle! Have you ever tried using less weight to make a move harder? Try dropping a weight on just one side when you lift. 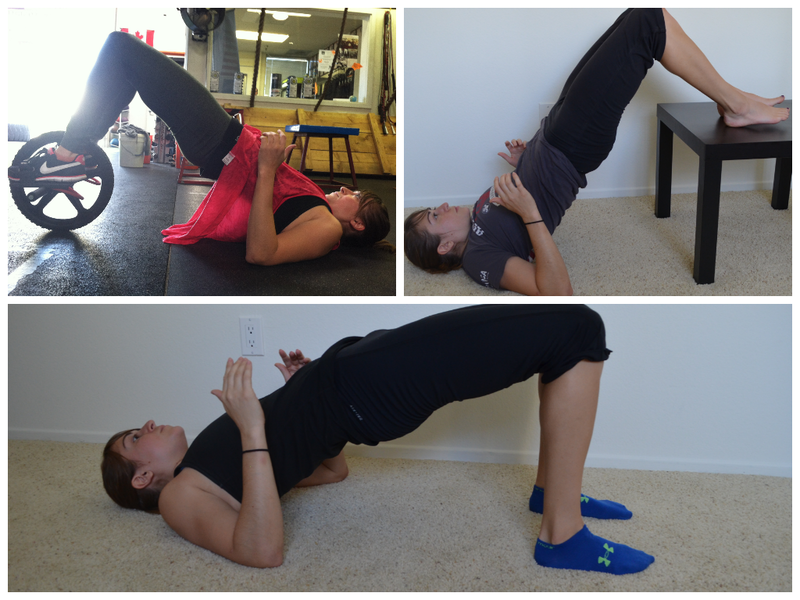 Asymmetrical loading can make moves incredibly hard and really build core stability. It also forces each side of the body to work independently which helps correct imbalances without necessarily being a single limb movement. Try a unilateral deadlift, single arm bench press or unilateral farmer’s walk. It will be harder than you think. You may even need to go down in weight at the beginning since it takes a toll on your core. It isn’t easy trying not to lean either too much away from the weight or too much into it. Your body will want to rotate, but you can’t let it. Asymmetrical loading is one of my favorite way to add some variety to my workouts as it really does build great core strength and can be done with almost any move (it can also really help improve your balance). Do you always just add more weight to make exercises harder? What are your favorite ways to add variety and keep your workouts challenging? Posted on July 21, 2013, in Conventional Wisdom - How I hate you, program development and tagged exercise variations, make your workouts more challenging, rep tempo, single leg movements, unilateral movements, workout rest. Bookmark the permalink. 1 Comment. Great tips for a challenge. 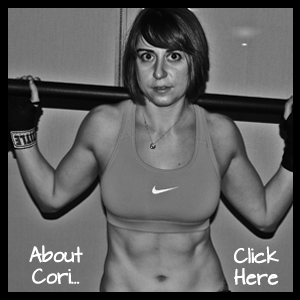 I try to do drop sets or circuit training to change things up. I like the idea of using kettle balls.